Granessa is a pink papered broodmare by the sire of many international and Olympic showjumpers "Grannus". 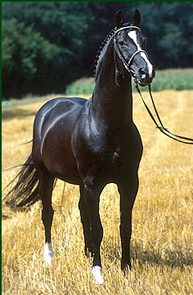 The offspring of this black Hanoverian stallion include seven Olympic horses and more than 60 approved stallions, with a current total of over three million Euro winnings! Showjumping stars by Grannus include Grannusch (John Whitaker), Grand Plaisir (Ludger Beerbaum), Governor (Phillipe le Jeune), Golo (Gerd Wiltfang), Gaston M (H. Sprunger), Burmah Grand Slam (Nick Skelton), Top Gun La Silla (Jan Tops), and many others. Grand sire Ribot is by the legendary stallion "Ramiro". 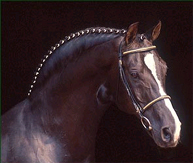 In a lifespan of thirty years, the "preferent" G Ramiro Z's performance as a sporthorse and breeding sire earned him the titles 'Stallion of the Century' and "King of Sires." His progeny can be described with one word: sublime. 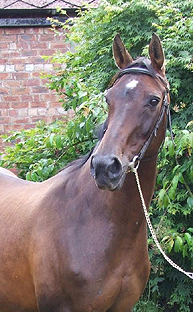 He supplied a large number of approved stallions and an impressive series of fantastic sport horses many of whom have achieved fame. Ribot himself has sired approved stallions like Ribbeck (Westphalian) and Richmond (Westphalian) and many Statepremium mares. 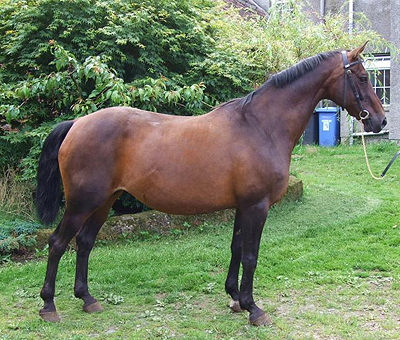 Granessa's dam and grand dam are both State Premium mares.